Summary: we've appointed Jetty Van Kooij as our primary editor of Chatbots.org. We’re pleased to announce that we’ve appointed Jetty Van Kooij as our primary editor of Chatbots.org. Awards for chatbots: Loebner, Chatterbox Challenge, Machine Intelligence, who knows more? Summary: Awards for chatbots: Loebner, Chatterbox Challenge, Machine Intelligence, who knows more? As you probably know, the Turing Test is a proposal for a test of a machine’s ability to demonstrate intelligence. The test celebrates its 100th birthday in 2012. The most prestigious prize based on the Turing test, is obviously the Loebner Prize, started in 1990 by Hugh Loebner (who’s still passionate about chatbots). The Loebner Prize however, is not the only prize in this area. 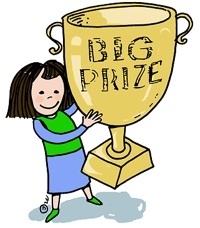 There seem to be a few more prizes to win in the field of creating artificial intelligent and conversational life. For Chatbots.org we’re trying to create a list of all of them (and to list all the results on the site). Read more about: Awards for chatbots: Loebner, Chatterbox Challenge, Machine Intelligence, who knows more? 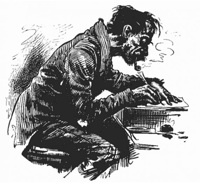 We are looking for a freelance English editor (4 hours per week). As we have quite ambitious plans with Chatbots.org, we need an enthusiastic native English editor to edit text and write new articles who can grow with us to facilitate the fast growing community of chatbot developers, affiliate industry and users. Summary: Chatbots.org is now a PR 5 site (Google pagerank). Chatbots.org is now a PR 5 site (Google pagerank). 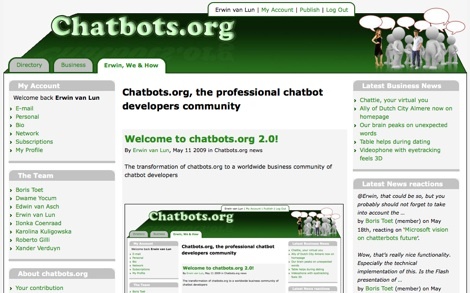 This is the result of extra attention on websites due to the launch of version 2.0, new links to the site and in existing groups related to chatbots and natural language processing. We’ll probably end up with a pagerank of 7 somewhere next year (when we realized our objectives of 100.000 visitors a month).